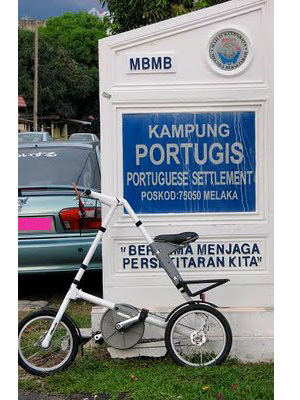 Portuguese village, also known as Mini Lisbon is located in Ujong Pasir, Malacca about 5km from the town of Malacca. 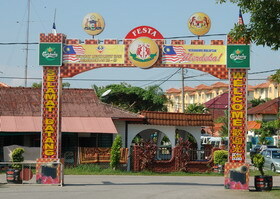 The village has about 1,500 people comprising 116 families who were of Portuguese and made its debut in Malacca in 1930. The village covers an area 13 acres with 8 acres of for settlements and the rest for schools, playing fields and playgrounds for children. 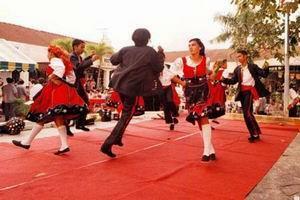 It is a unique village because the Portuguese community living here as they still practicing the Portuguese language, culture, song and dance the to this day. Like many other Portuguese-speaking communities around the world, the Portuguese Settlement holds a yearly "June festival" that opens with Festa Senjuang ("Feast of Saint John", June 24) and closes with Festa San Pedro ("Feast of Saint Peter", the fishermen's patron saint, June 29). 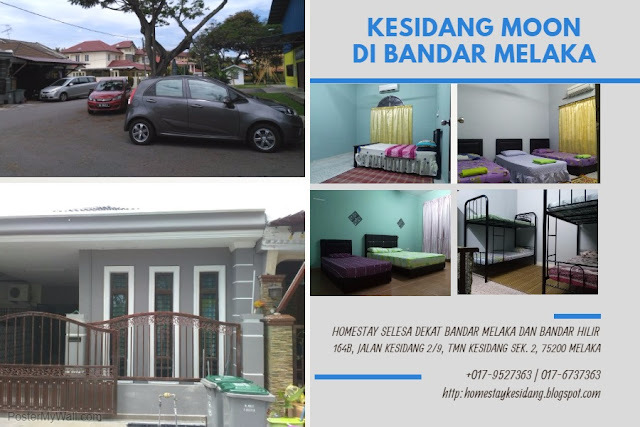 About 100,000 visitors from Malaysia and abroad attended this annual festival ehere they can hear Kristang folk songs and watch dancers in colourful costumes perform to the rhythm of branyu music. An important event in the festival is the blessing of the local fishermen's boats, specially decorated for the occasion, to assure good catch.